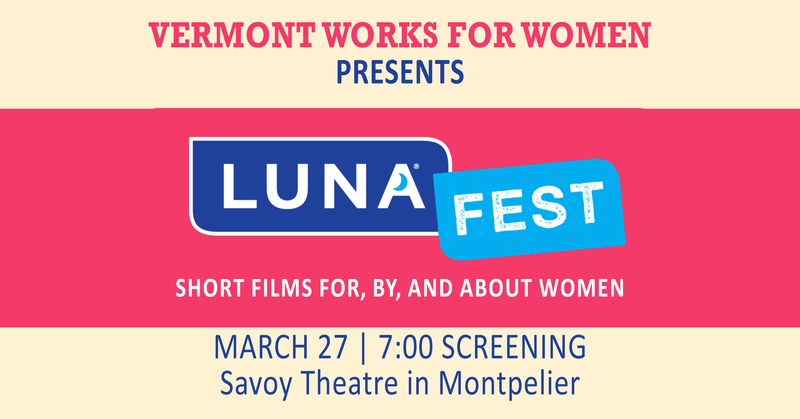 Vermont Works for Women presents LUNAFEST, a traveling film festival of award-winning short films by, for and about women. LUNAFEST began in 2000 by Kit Crawford, founder of LUNA bars, to raise awareness about women’s issues and bring women together. Proceeds will benefit Vermont Works for Women, a service organization helping women and girls achieve economic independence.